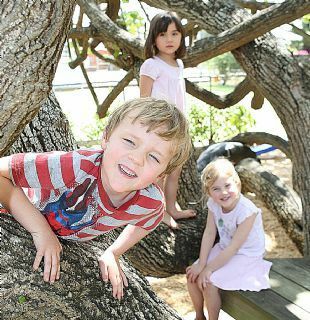 LITERACY development of children from birth is critical to childhood, school and adult success, writes Ipswich Grammar School's Head of Junior School David Macknish. While literacy and numeracy are core elements of the Ipswich Grammar School curriculum, it is recognised that highly-developed literacy skills enable children to interpret, understand and process their learning of all other skills and knowledge across the remainder of the curriculum. Book a tour of Ipswich Grammar School and speak to staff or the Head of Junior School, David Macknish. Prep places are still available for 2013 and beyond. Literacy is addressed throughout the entire curriculum. Language is all encompassing and is studied explicitly across all subject areas. Therefore, throughout Mathematics, Language, Science, Social Sciences, the Arts and even Physical Education, teachers constantly highlight the importance of the language and structures used to express themselves in each area and teach the specific terms of each subject while emphasising the importance of communicating and understanding language in all its forms. Speaking and listening skills are also a key focus. It is understood that in today’s world, people need to be able to communicate succinctly in order to succeed. More than ever, society uses visual communication to get a message across and the boys at Ipswich Grammar School are taught to use oral and visual language in careful and articulate ways so that they can best communicate with others in all situations. Listening skills are emphasised as so much daily information is received in this form. It is recognised that visual learning is essential in teaching today’s child, with the constant growth of the film, internet and television industries. It is important that children learn to discern what is information and what is otherwise (advertising, entertainment etc.) so the Grammar School is always mindful of this technology and incorporates the understanding of these types of communication as meaningful parts of the curriculum. 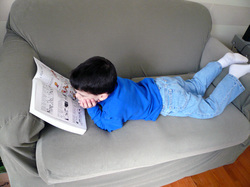 Boys are encouraged to read as much as possible both at home and at school. At IGS, staff highly value the input of parents in the teaching of their children. It is natural that those who started the language learning experience be partners in continuing this interest. Boys also are encouraged to ask questions and solve problems by trial and error as part of their learning. Both literacy and numeracy are well-served by students who can ask the questions and then have the strategies to investigate and discover the answers. This assists the students to learn the value of producing ideas using their own imaginations and initiative. "In today’s world, people need to be able to communicate succinctly in order to succeed"
Numeracy these days involves a fuller understanding of how to find the problem, use trial and error with a variety of strategies to find possible answers and then test those answers to find the best one. "Numeracy these days involves a fuller understanding of how to find the problem, use trial and error with a variety of strategies to find possible answers and then test those answers to find the best one"
In today’s society, young people need to be equipped to focus on the process rather than the content in order to meet the challenge and solve problems at a higher level. Therefore, their understanding needs to go beyond just “learning the facts”. Thus language used in Mathematics becomes more important to the children searching out alternatives. From an early age, the boys at Grammar are taught the different terminology that enhances their understanding of this area of learning. For further information, book a tour of the school and speak to staff or the Head of Junior School, Mr David Macknish. Prep places are still available for 2013 and beyond.